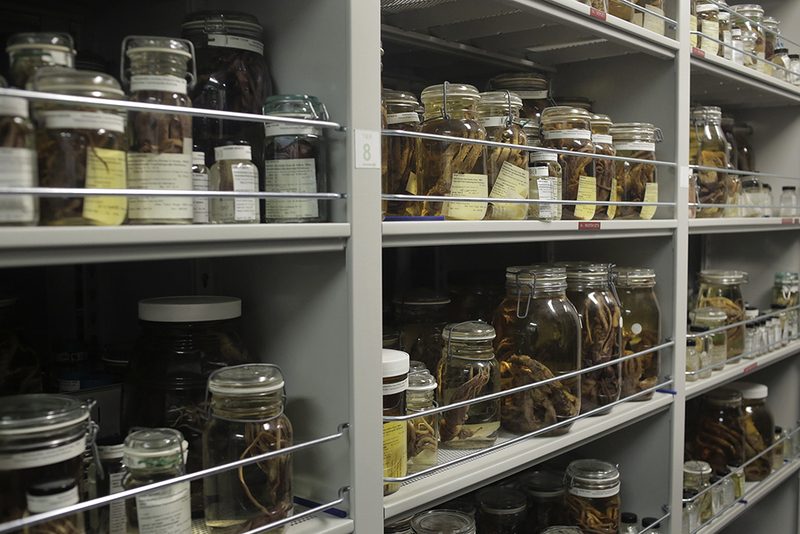 Thousands of jars containing cephalopods are stored in the museum support center’s mollusk room. Richards, a UNC junior, spent the past summer working as a Natural History Research Experiences intern with the Smithsonian Institution. His research involved cataloguing over 400 cephalopods – like cuttlefish, squid and octopods – caught more than two miles below the sea surface during a 2009 research expedition at the Atlantic Ocean’s Charlie-Gibbs Fracture Zone. He also employed computer science techniques to calculate the abundance of species in the region based on what researchers brought back. 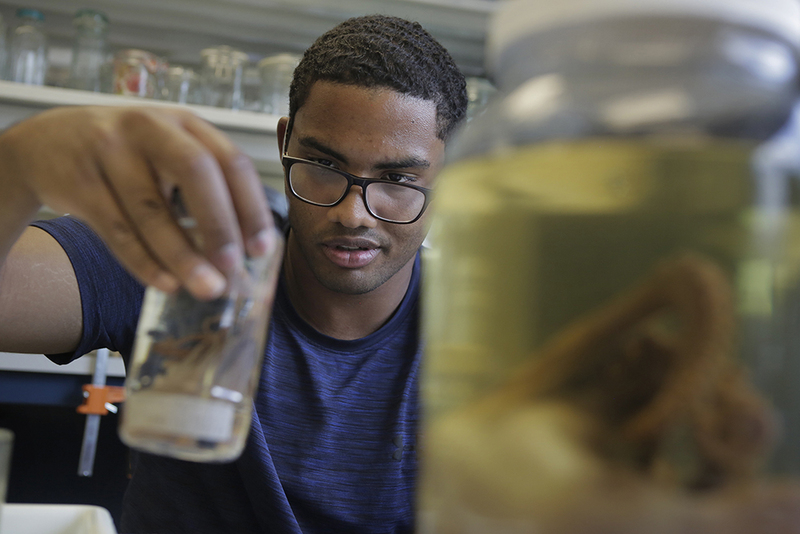 Jared Richards removes an octopus from a jar for examination. Jared Richards is a UNC junior majoring in quantitative biology within the UNC College of Arts & Sciences. 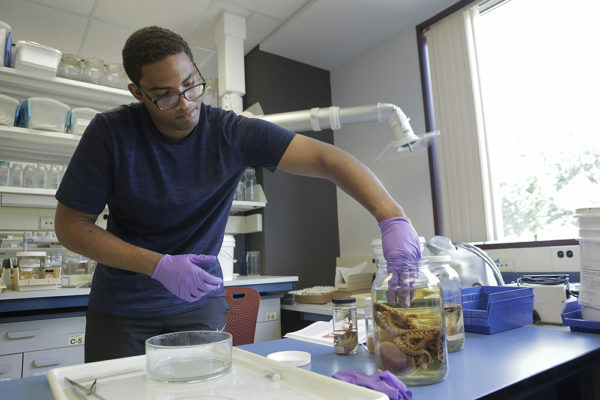 The Natural History Research Experiences is a summer internship program with the Smithsonian Institution’s National Museum of Natural History. Students work with mentors during the 10-week program to complete independent research projects in earth science, biology, and anthropology.